Dallas-based real estate investment group Copeland Commercial LLC has landed $43.5 million in funds — $33.5 million in acquisition and development financing and another $10 million in equity — to build a new large speculative logistics hub. 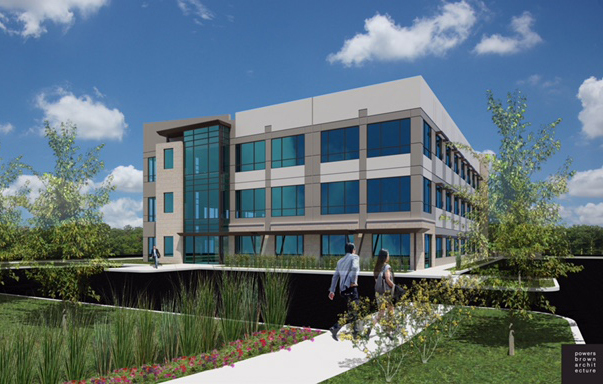 A rendering of the upcoming offices at 4624 N. Central Park Blvd. Bursting out of an office that is now in the wrecking ball’s path, a concessionaire company is building itself a new headquarters. Service Systems Associates Inc. is planning a new 45,000-square-foot office building in Northfield. A bundle of 10 speculative buildings spanning four suburban counties and totaling 650,000 square feet are now under construction by St. John Properties. The projects will produce a total of 400,000 square feet of new Class A office in Anne Arundel, Howard, Carroll and Baltimore counties. In Anne Arundel, for example, four buildings comprised of more than 200,000 square feet are under development.